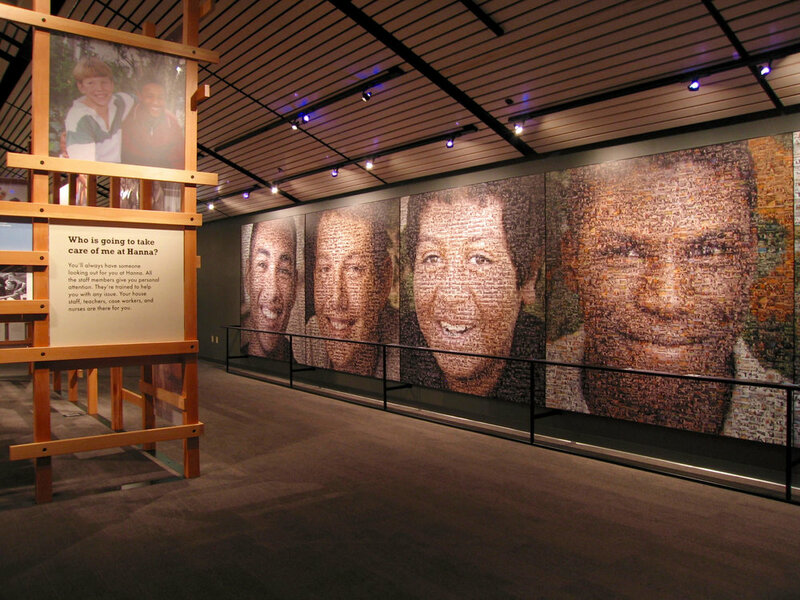 Photo panels, interpretive graphics, and artifacts are woven through the exterior of a 20-foot wooden tower that honors the Center’s legacy as a “haven of hope” for troubled boys. Inside, application letters reveal stories of difficult lives and a wish for better days. The walls of the center are wrapped with a photo mosaic of 8 boys, but a closer looks reveals that the 8 boys are actually composed of over 16,000 images of successful Hanna alumni. © 2017 The Sibbett Group. All rights reserved.